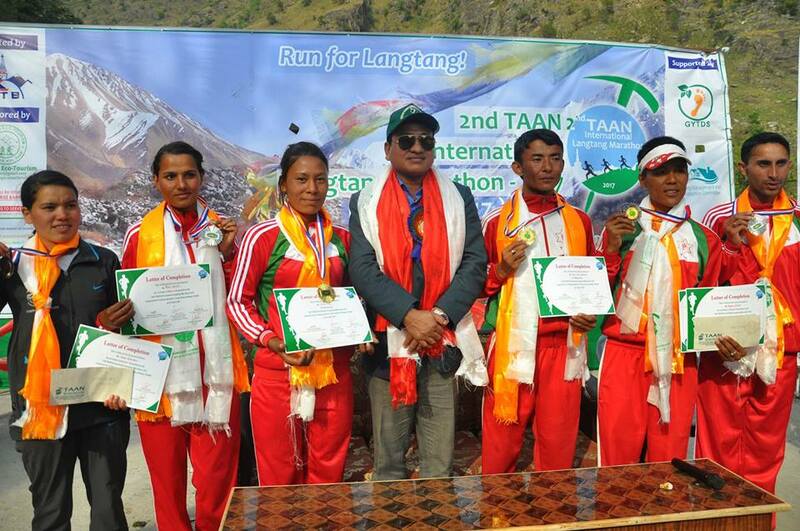 RASUWA, April 28: Hom Lal Shrestha and Sarita Basi have won the 2nd TAAN International Langtang Marathon . held in Langtang Region on April 25. Shrestha and Basi both from Nepal Army have won the men’s and women’s category. While Shrestha completed the 42.5 kilometers marathon in 3 hours and 34 minutes, it took 21-year-old Basi 5 hours and 13 minutes to reach the finishing line. Similarly, Rajan Khatri 3 hours and 37 minutes and Bed Bahadur Sunuwar 3 hours and 38 minutes finished the race in second and third positions, respectively, in the men’s category. Likewise, Resu Basnet 5 hours and 16 minutes and Pushpa Bhandari 5 hours and 28 minutes were first runner-up and second runner-up, respectively, in the women’s category. Keshav Bahadur Bista, the member secretary of Nepal Sports Council (NSC) handed over cash prize, medal and certificates to winners, first runners-up and second runners-up. While the winners in both the categories took home cash prize of Rs 100,000, the first runner-ups and second runner-ups of both the categories became richer by Rs 75,000 and Rs 50,000, respectively. Altogether 102 participants 88 male and 14 female athletes participated in the event that began at Kyanjin Gompa and passed through Langtang village, Lama Hotel, Rimche, Sherpa Gaon and Bridim before concluding at Syafrubesi. 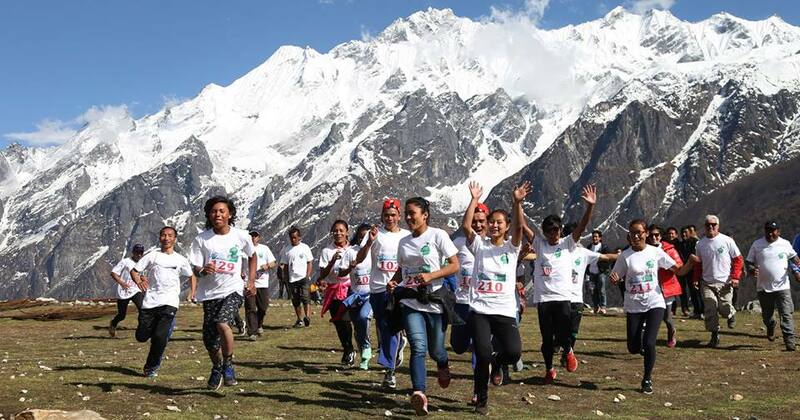 According to the organizer, the marathon was organized to disseminate the message world over that Langtang Region as a safe destination for trekkers. Also, the event was aimed at encouraging the local tourism entrepreneurs to revive their business, which was completely halted following the devastating earthquakes of 2015. 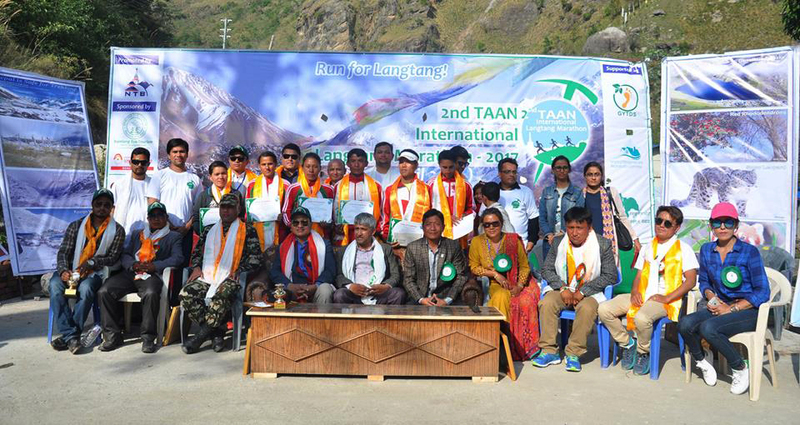 TAAN had organized half-marathon in the region in 2016. The half-marathon began at the Gosaikunda Lake and concluded at Dhunche – the district headquarters of Rasuwa.